Gagnon, Annie Joan. "Ariane Moffatt". The Canadian Encyclopedia, 01 March 2018, Historica Canada. https://www.thecanadianencyclopedia.ca/en/article/ariane-moffatt. Accessed 22 April 2019. 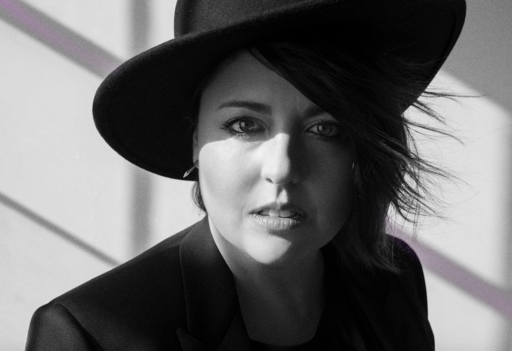 From a young age, Ariane Moffatt had an interest in music. She studied jazz singing and piano before deciding to take up musical training at the Cégep de Saint‑Laurent in Montréal. She soon attracted attention in several competitions, including Cégeps en spectacle (1996) and L’Empire des futures stars (1998), in which she won a prize for her trio performance with Louis‑Jean Cormier and Stéphane Bergeron. The prize led her to perform at a festival in Belfort, France. In 2000, under the stage name @ri, she lent her voice to songwriter Xavier Bisson’s project Tenzen, alongside instrumentalist Martin Tremblay. Though she was enrolled in popular music and voice at the Université du Québec à Montréal (UQAM), she set aside her studies in autumn 2000 to tour with Marc Déry. She then joined Daniel Bélanger’s show “Rêver mieux” as a keyboardist and background vocalist. Bélanger gave her the opportunity to perform some of her songs as an opener to his show. Moffatt released her debut album, Aquanaute, in June 2002 on the Audiogram label. Her style was described as electro‑folk with hints of jazz and pop. A number of songs, including “Point de mire,” “Fracture du crâne” and “Poussière d’ange” captivated audiences and earned her excellent reviews. 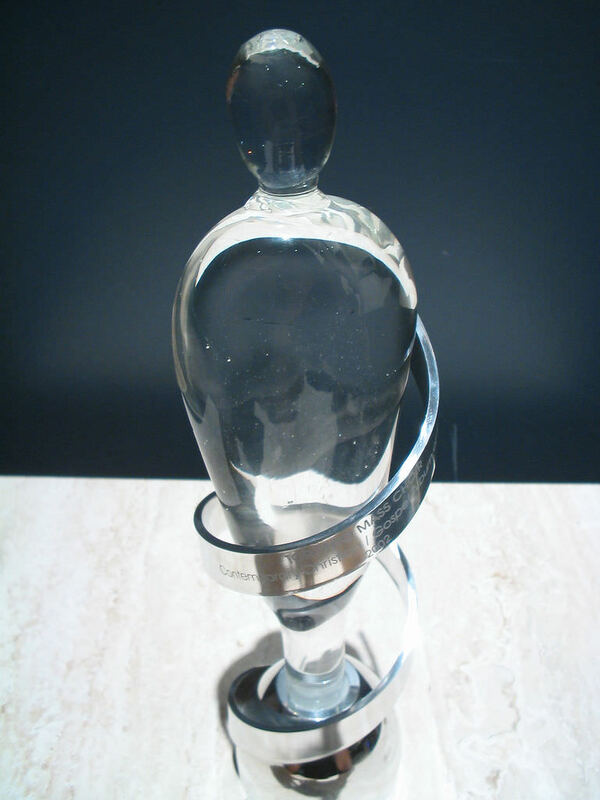 Aquanaute sold over 120,000 copies and received three Félix Awardsat the ADISQ Gala in 2003: Revelation of the Year, Pop‑Rock Album of the Year and Musical Production of the Year (an achievement shared with her collaborators, Francis Collard and Joseph Marchand). Her second album, Le cœur dans la tête, came out in November 2005. The following year, it garnered the Félix Awards for Best Pop‑Rock Album and Best Female Performer. Moffatt had the honour of opening for Alain Souchon in February 2006, shortly before her album’s release in France, set for May. She was supported in France by famed musician Matthieu Chedid (known as “M”), whom she met at the FrancoFolies de Montréal in 2004. 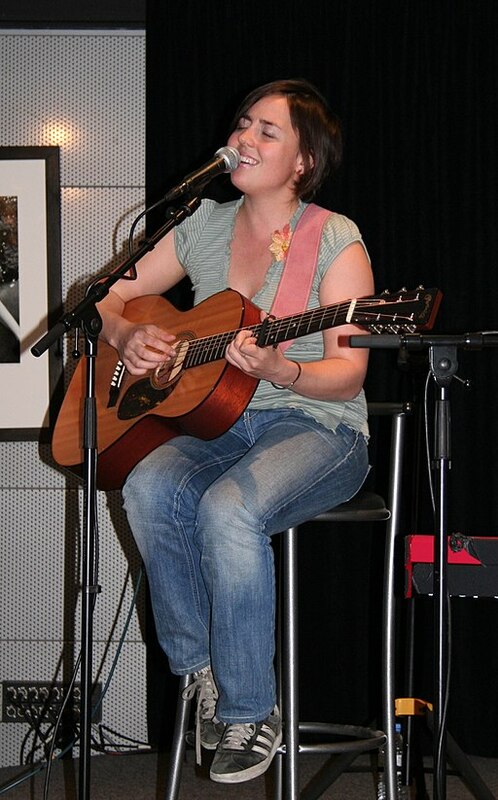 Show-case with Ariane Moffatt at FNAC des Ternes (Paris, France), 2006. In August 2007, Moffatt performed in front of tens of thousands of spectators at the FrancoFolies de Montréal. Her third album, on which French‑Israeli artist Yael Naim collaborated, came out in April 2008. The highly anticipated Tous les sens won four Félix Awards: Pop‑Rock Album of the Year, Hit Song of the Year (“Je veux tout”), Arrangement of the Year (Alex McMahon, Jean‑Phi Goncalves, Mélik‑Alexandre Farhat, Jean‑Nicolas Trottier and Franck Deweare) and Sound Recording and Mix of the Year (Pierre Girard). The year 2009 was also extremely successful for the young performer, who won the Prix de la chanson française from the Fondation Diane et Lucien Barrière, received the Grand Prix of the Académie Charles‑Cros, and was nominated for Best Debut Live Act at the Victoires de la Musique in France. In Canada, she also won the Juno for Francophone Album of the Year. In addition, she contributed to the soundtrack of the television series Trauma (Radio-Canada) and sang Serge Gainsbourg’s song “Fuir le bonheur” on an album recorded for Doctors Without Borders. She also distinguished herself through her music videos — especially “Je veux tout” (directed by Alexandre Saltiel), an imaginative masterpiece featuring a lively bunch of ragtag characters; and “Réverbère” (directed by late designer Alexandre de Lamberterie and John Londoño), in which live‑action protagonists channel the futuristic heroes of a manga TV series. The album MA came out in 2012. While Moffatt did not intend to pursue a career in English, she did choose to include songs in English as well as French. That decision enabled her to play her music at major festivals in the United States, including the annual South by Southwest gathering in Austin, Texas. Three years went by, during which Moffatt became the mother of twins. She subtly made her children the theme of her next album, 22h22. On the album she also addressed social issues of the day, as in her song “Les tireurs fous.” Shortly thereafter, the attacks on the Bataclan in Paris occurred on 13 November 2015. She performed her song, confiding to her fans: “Today I would like to share with you my song ‘Les tireurs fous,’ which I wrote long before the Bataclan, before Charlie; because the uneasy, threatening feeling that slyly lurks all around has inhabited me for some time now.” This new album won her Félix Awards for Pop Album of the Year and Female Performer of the Year. In autumn 2016, the songwriter penned the soundtrack for the TV series Les Simone, written by Kim Lizotte and Louis Morissette and directed by Ricardo Trogi. Then, in November, she performed 13 pieces of music in an intimate concert at the venue La Chapelle, in Montréal. These songs were revisited and released on the album Le petit spectacle à La Chapelle (2017). The singer described feeling a magical and intense sense of grace that she attributed to the circumstances, particularly the death of Leonard Cohen a few days earlier. 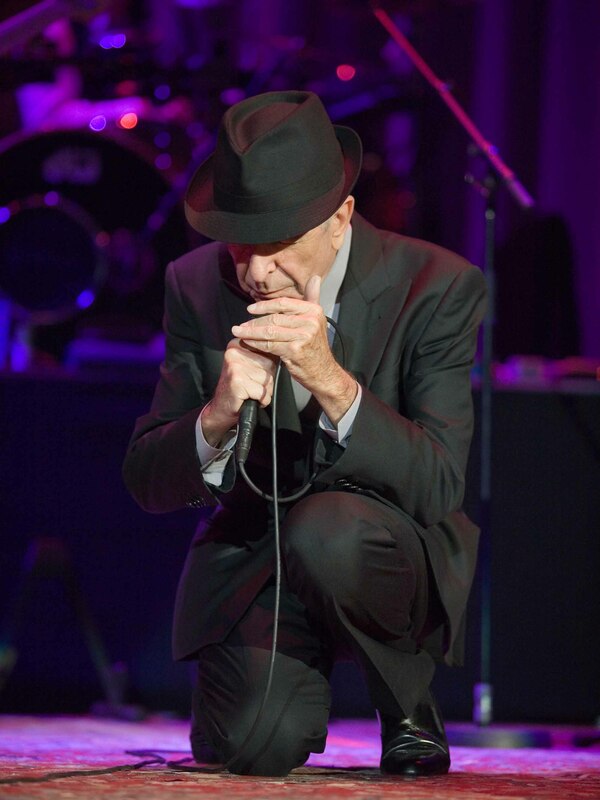 Cohen was a performer whom Moffatt held in the highest regard. She also collaborated on the major exposition in his honour, “Une brèche en toute chose/A Crack in Everything,” which opened in November 2017 at the Musée d’art contemporain de Montréal and which concluded the events surrounding Montréal’s 375th anniversary. 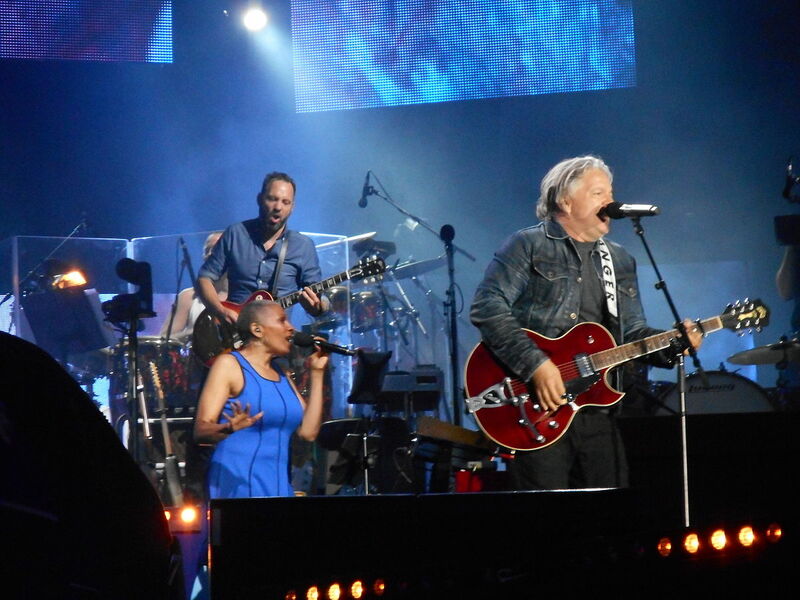 On 17 May 2017, the singer took part in the impressive “Bonne fête Montréal” concert held at the Bell Centre, alongside other artists such as Marie-Mai, Gad Elmaleh and Robert Charlebois. 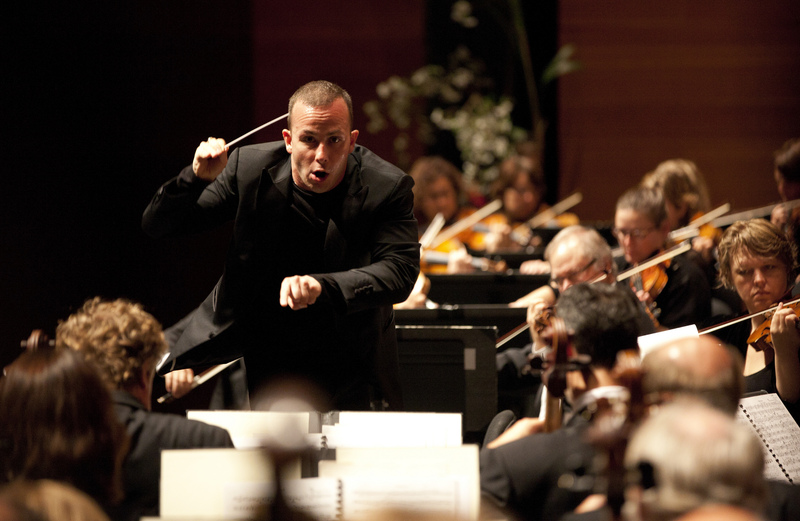 The concert, accompanied by the Orchestre métropolitain, was directed by conductor Yannick Nézet‑Séguin. Ariane Moffatt sang her befitting song “Je reviens à Montréal” as well as “Debout,” and a cover of the iconic song “Aimons‑nous,” which was composed by Yvon Deschamps in the 1970s and calls for diversity. Yannick Nézet-Séguin with the Orquesta Filarmónica de Rotterdam, 13 August 2011. Earlier that year, in March 2017, she had donned her opera gown once more to sing at the Maison symphonique de Montréal in two concerts directed by Simon Leclerc, orchestrator and associate conductor of the OSM Pop series (see Orchestre symphonique de Montréal). She repeated the experience on 17 July 2017, at the National Arts Centre (NAC) in Ottawa. During 2017, the singer‑songwriter also donned the producer’s hat. She launched several musical projects that promoted and shone the spotlight on artists of varied styles and talents, such as Maude Audet, Kae Sun and hip‑hop singer Mack Joffatt. In 2013, Ariane Moffatt received the Fight Against Homophobia Award (today the Laurent-McCutcheon Award) from Fondation Émergence. This distinction was presented to her by Pauline Marois, Premier of Québec at that time. In 2015, she became a sponsor of Dr. Marsolais’ Mission, a Québec organization that assists and supports families of organ and tissue donors in their hardship. On 15 June 2016, she paid homage to the victims of the Orlando killings in a concert at the FrancoFolies de Montréal. In June 2017, she joined the group Femmes en musique (FEM), which speaks out against sexism in the music industry.